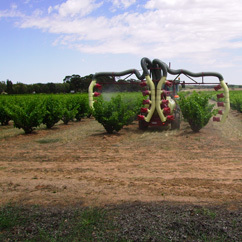 ChemClear is on its way to Western Australia so busy chemical users can drop off their registered chemicals for collection. 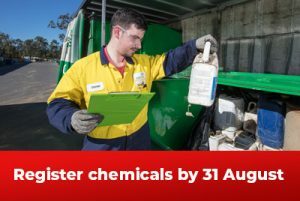 A collection has been scheduled for Western Australia, commencing in October 2018 and chemical users have until 31 August to register their unwanted chemicals. Below are community engagement materials prepared especially for West Australian councils to display in public areas, waste collection and recycling stations, libraries and customer service areas. We encourage you to print out the A4 flyer for display or share the web-friendly advertisement in your council newsletters, websites and on social media. For more information, please do not hesitate to contact the ChemClear Program Coordinator, Ziggy Hilliker, on 02-6206 6801.